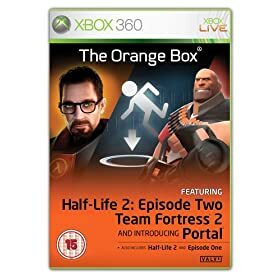 With 5 games in 1 The Orange Box (Half Life 2) on the Xbox 360 is currently available for just £23.98 delivered from Amazon thats less than £5 per game and provides great value for a game collection that will provide hours of gameplay to keep you entertained. Fans of the series previously available on PC will not be dissapointed as the port over onto the Xbox 360 console is seemless. If your a fan of other first person shooters such as call of duty 4 then this is a slighty different fps following a less realistic style, however this does not distract from the quality of the gameplay.